We spent the beginning of 2016 in Illinois visiting Tolar's family. 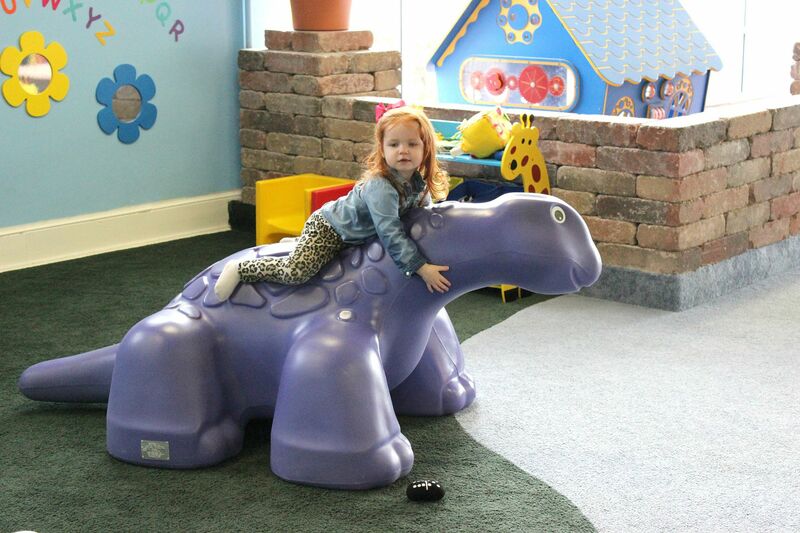 We get to visit them often, but our visits there are changing because K is older and so active and able to do a lot more. Now, we go to places that appeal to her. 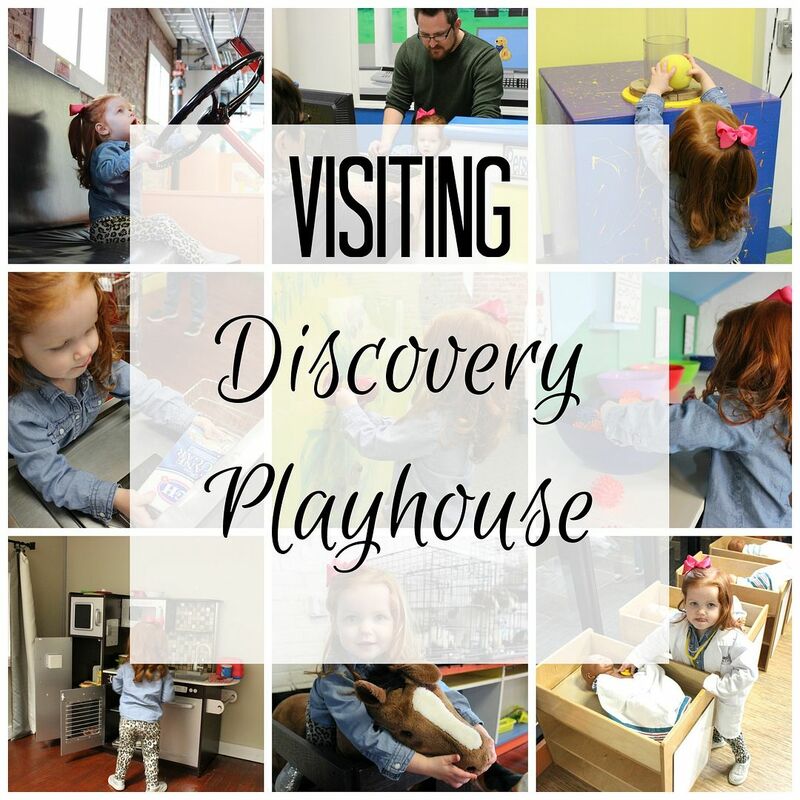 During this last trip, we ventured over to Cape Girardeau, Missouri and explored the Discovery Playhouse. 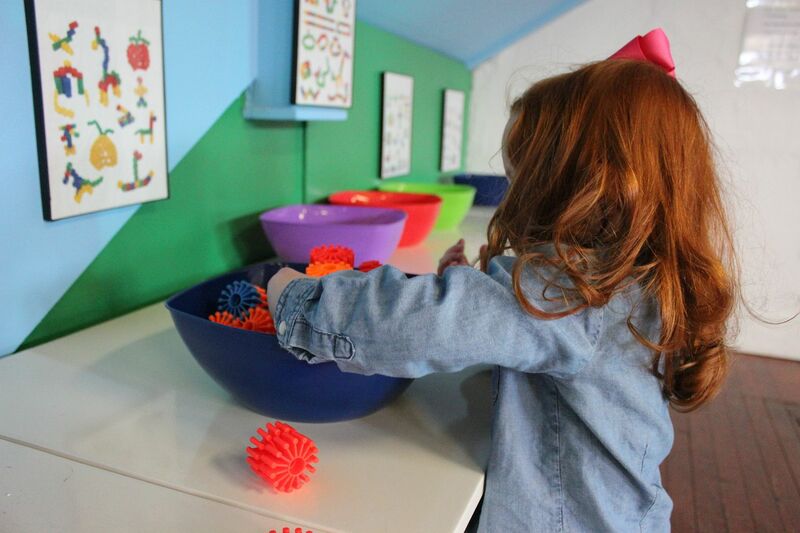 Discovery Playhouse is a hands-on children's museum where kids can discover and learn all while playing and having a ton of fun. 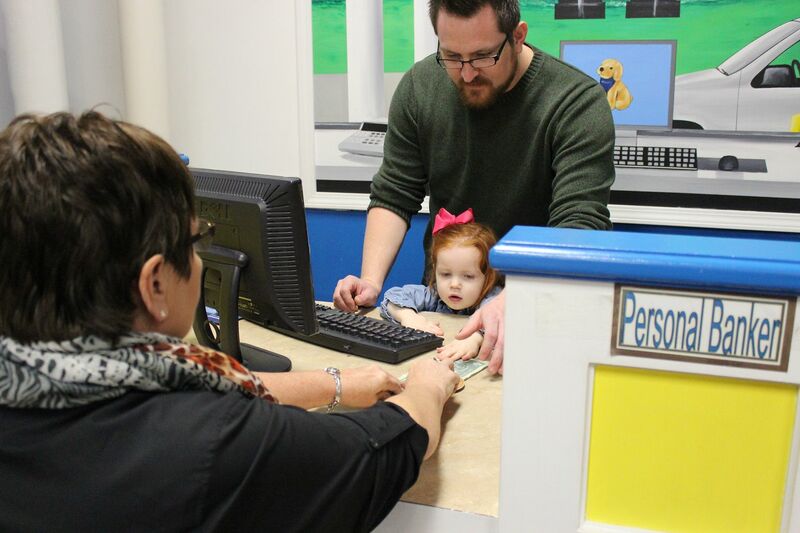 They have numerous exhibits (appropriate for children ages 11 and younger) depicting businesses that children will perhaps frequent with their parents. 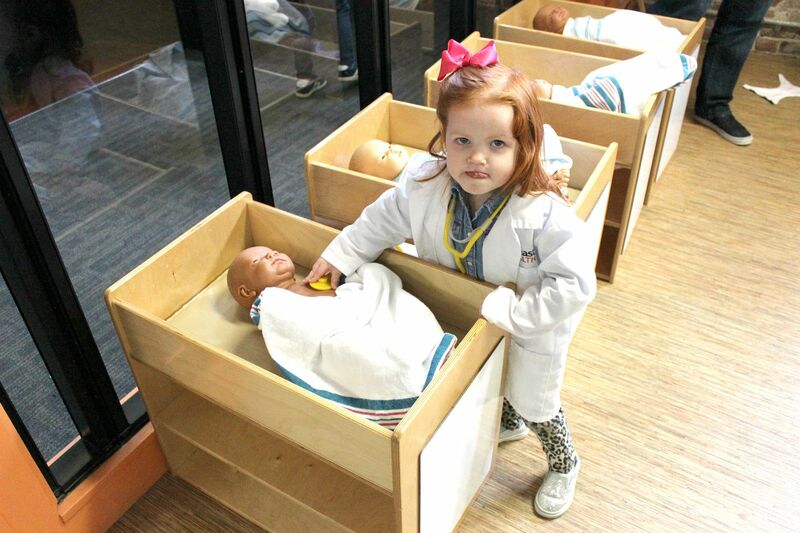 All of the exhibits are designed to allow the children to feel like they actually work in each business. I didn't know what to expect when we decided to check out the museum, but I left in awe. I was thoroughly impressed by the level of detail that went into each exhibit (the ATM at the bank actually had a live surveillance camera). K got to care for new babies at the hospital, drive a huge firetruck, "ride" a horse at the pet clinic, give me a teeth cleaning at the dentist, water and pick vegetables in her garden, milk a cow and collect eggs from chickens on the farm, serve as cashier at the grocery store, act as bank teller and play to her heart's content in the water garden. There was so much to do we could have easily spent all day there. 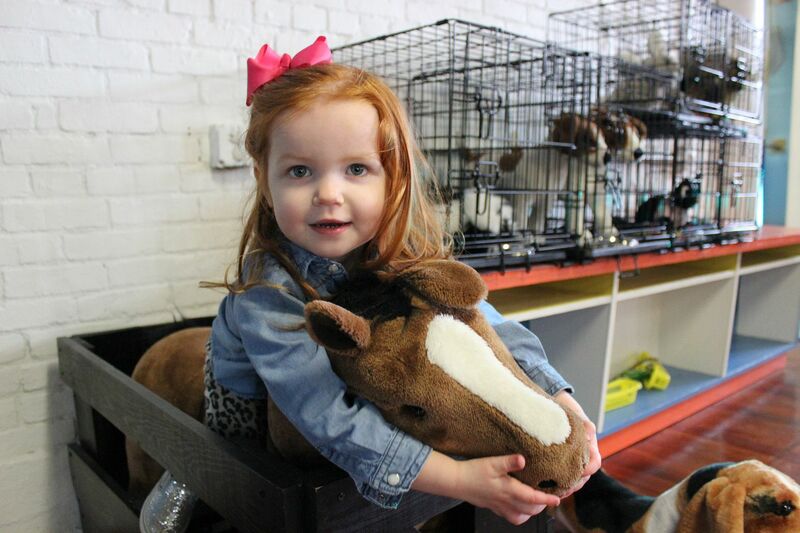 Each exhibit brought smiles to everyone's face, I'm not sure who had more fun - K or the adults. 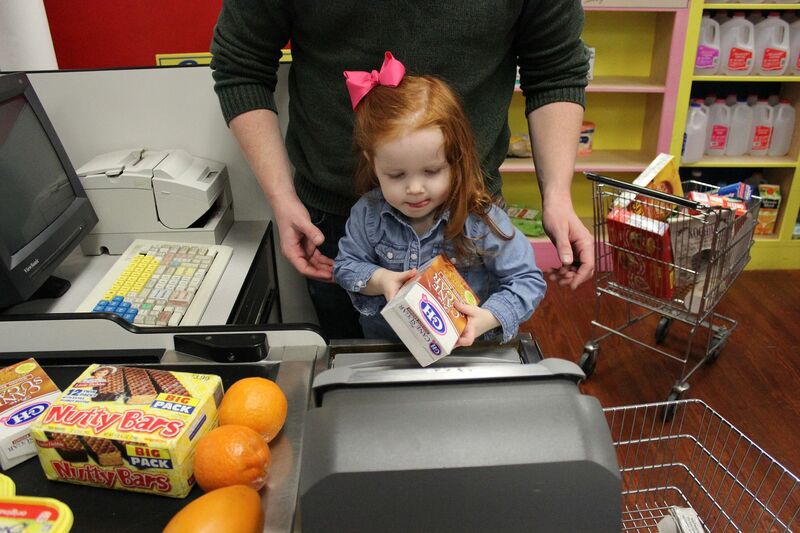 All of the businesses were completely interactive for both children and adults. It was so fun for us to let loose and pretend with K. Each exhibit seemed better than the one prior which didn't seem possible because they were all so perfect. I spent all day oohing and ahhing over everything. 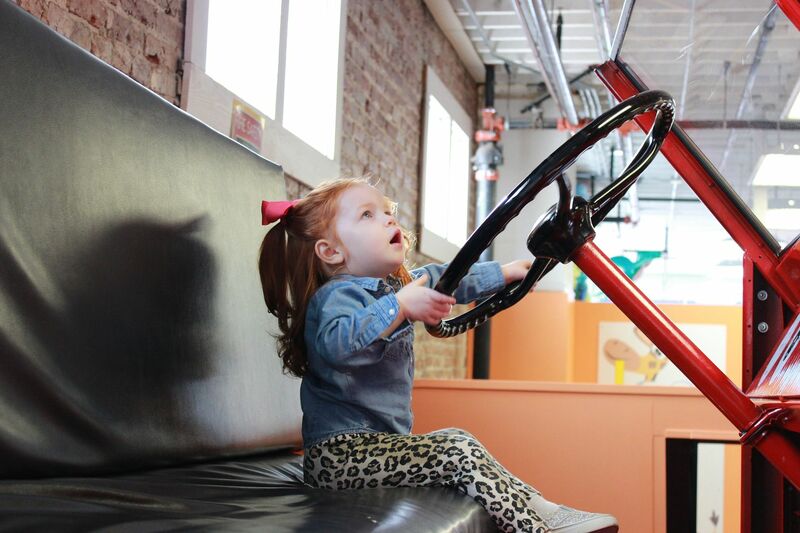 I can only wish that a children's museum like this opens somewhere within driving distance to us soon (if anyone knows one near the New River Valley, VA - let me know). 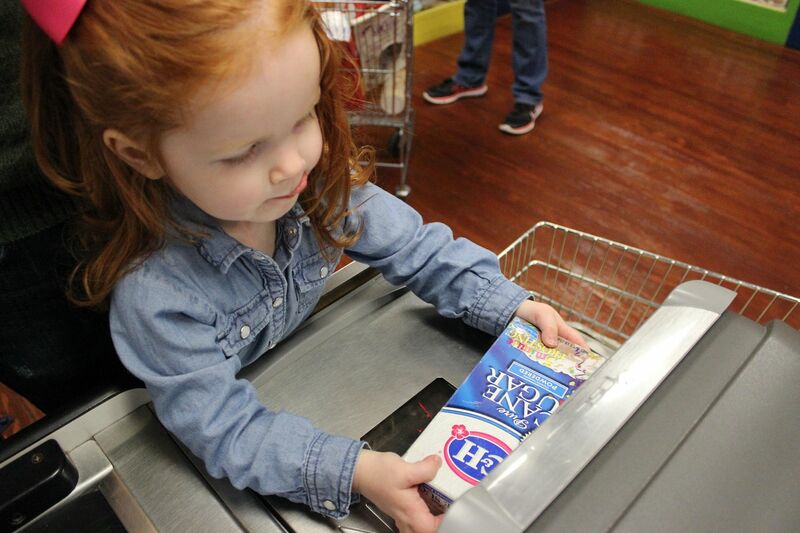 It was clear which businesses K frequents in her daily life as she knew exactly what to do with the conveyor belt at the grocery store (yep, my girl goes with me every week). 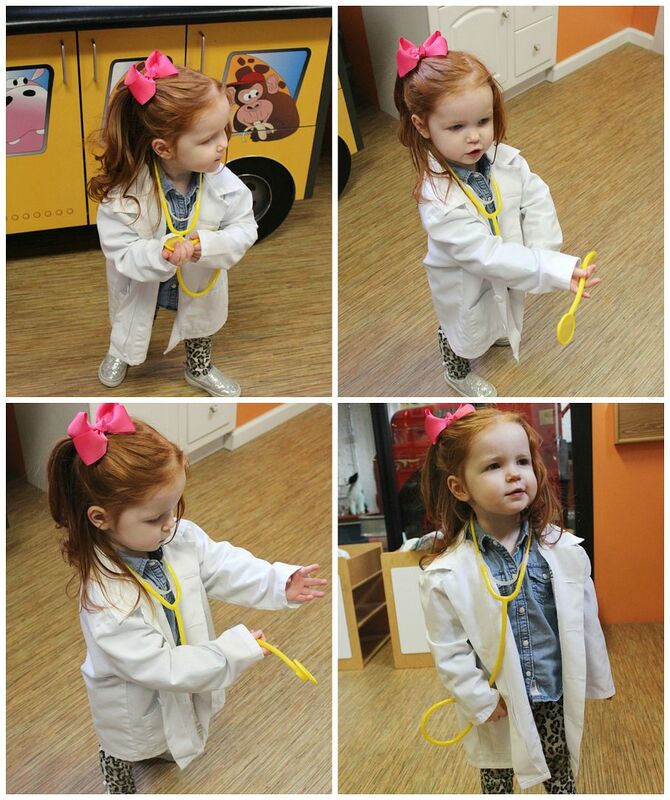 She has also taken plenty of lessons from her Grandy because she did not want to leave the garden. She kept watering her vegetables and tending to her crops, just like my Dad does with his garden. It warmed my heart to see her so excited about the garden. I can guarantee that we will be back to visit Discovery Playhouse on another visit to see my in-laws. It was a highlight of our trip. If you live in or near Cape Girardeau, Missouri or are going to be visiting soon, go! Take your kids, you won't be disappointed. 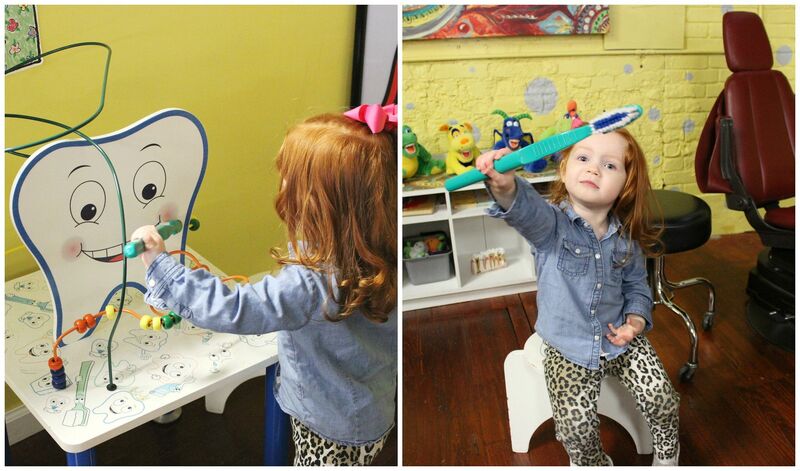 What a fun place with so much to do and interact with! Love it! Shamefully we've never gone. I should remedy that. Sounds like a fun day out. Glad you all had fun.